Allowing homeowners to retain light within the room. 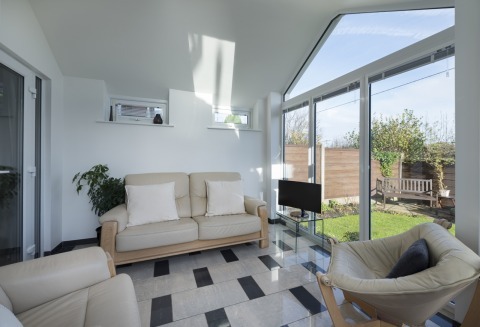 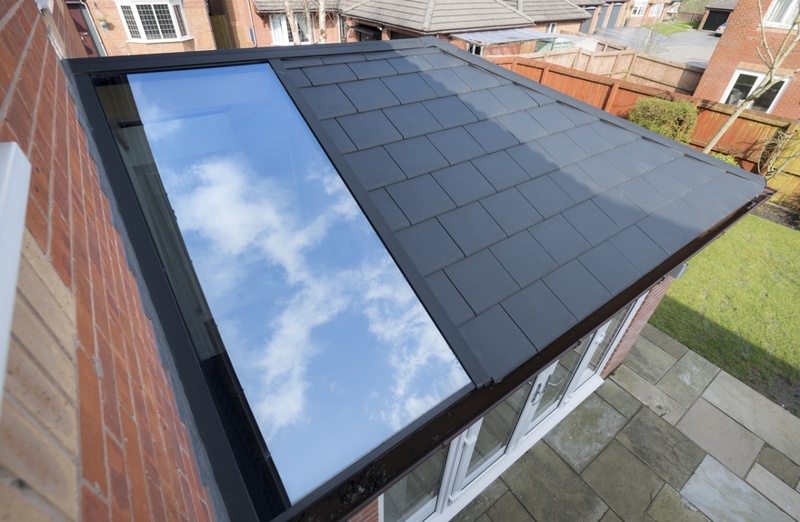 The WARMroof Hybrid options allows even more light to flood into the room. 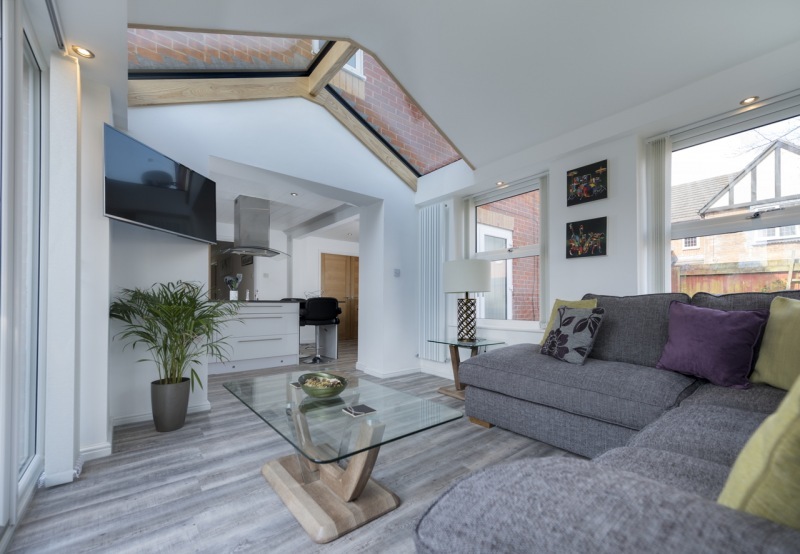 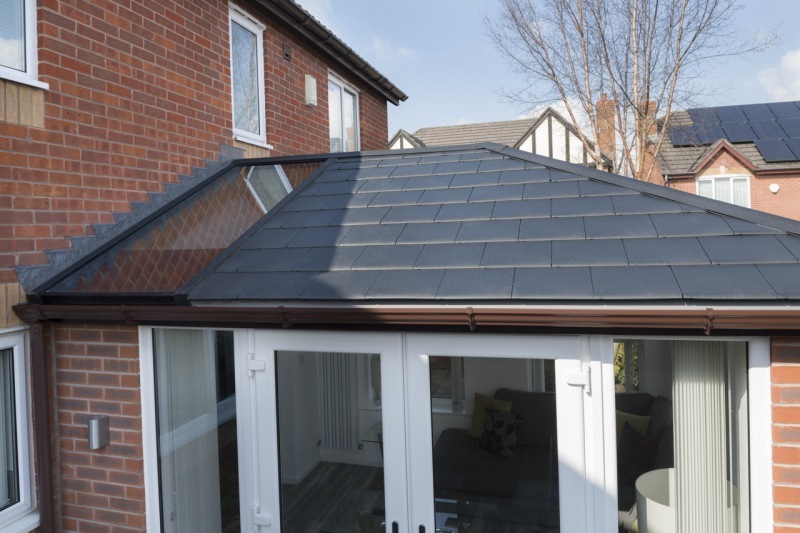 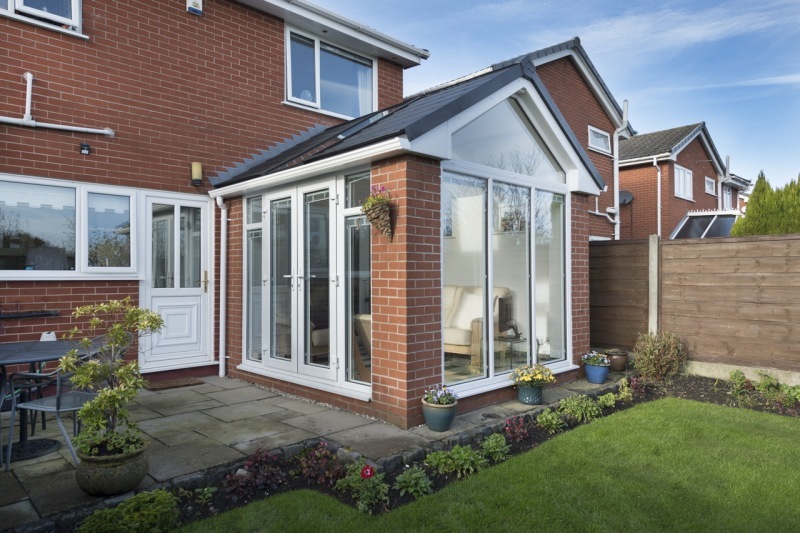 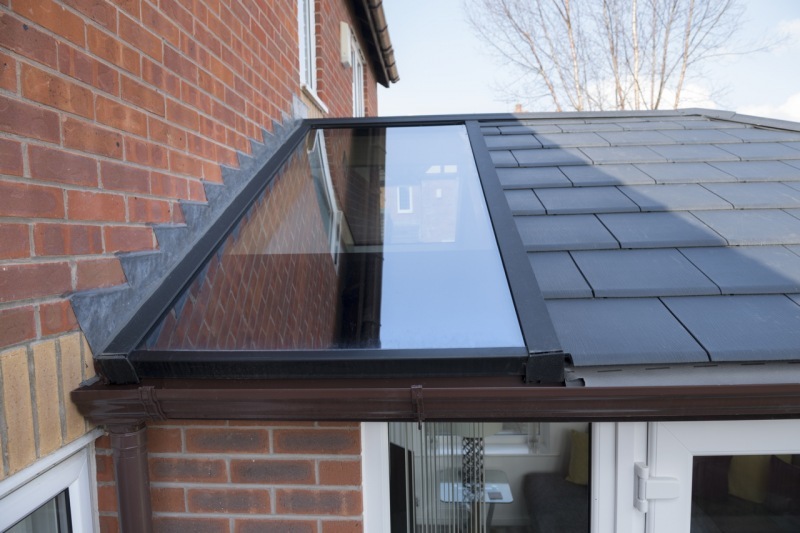 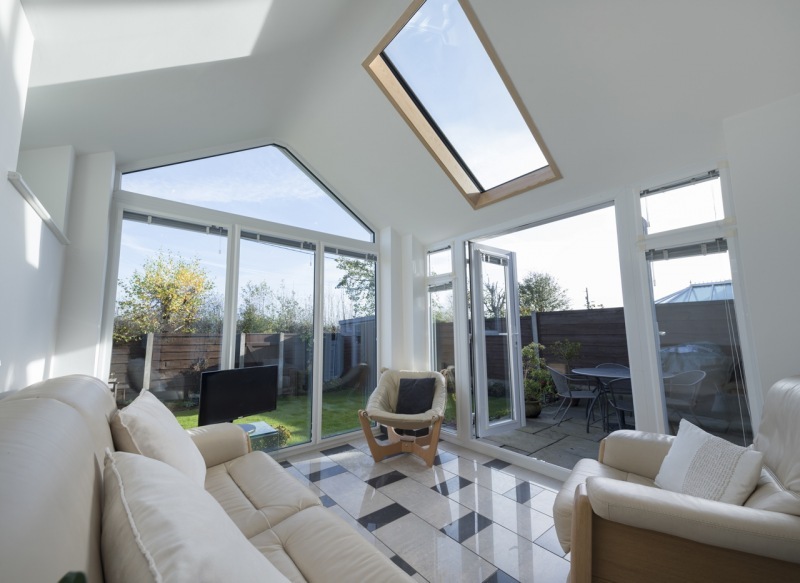 The Hybrid option is the perfect option for homeowners who worry about reducing the amount of light that a conventional conservatory provides when they choose a solid roof option. 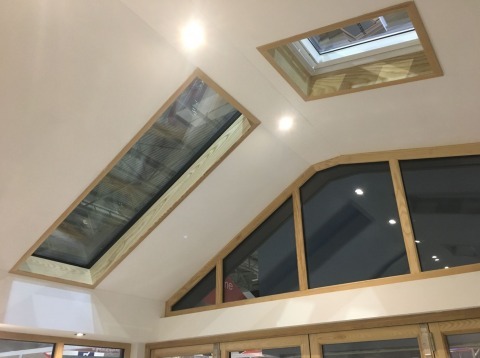 The glass panel allows you to retain an element of light within the room yet keep the thermal efficiency due to the 44mm tripled glazed units. The glass panel provides a 0.6 U -Value keeping the room highly energy efficient. 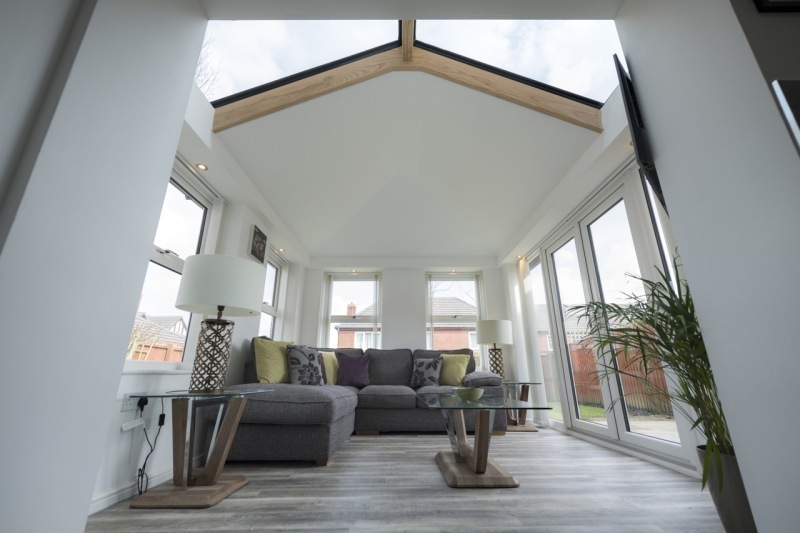 The Hybrid has a unique Opus (Hardwood Timber) lined internal frame and optional internal lighting pelmet available at the eaves. 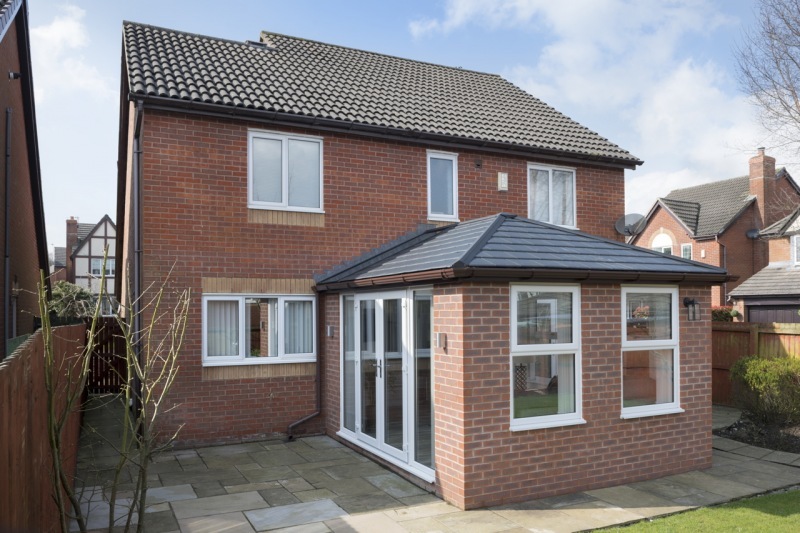 The WARMroof Hybrid has many features and options, from quick and easy installation to huge homeowner benefits. 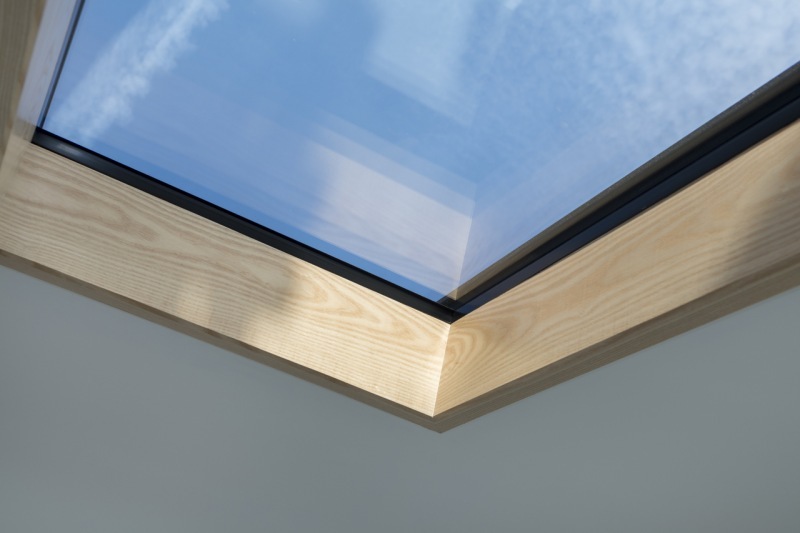 The Hybrid options features a triple glazed panel which has a U-value of 0.6 compared to the best double-glazed option of 1.2 in other systems. 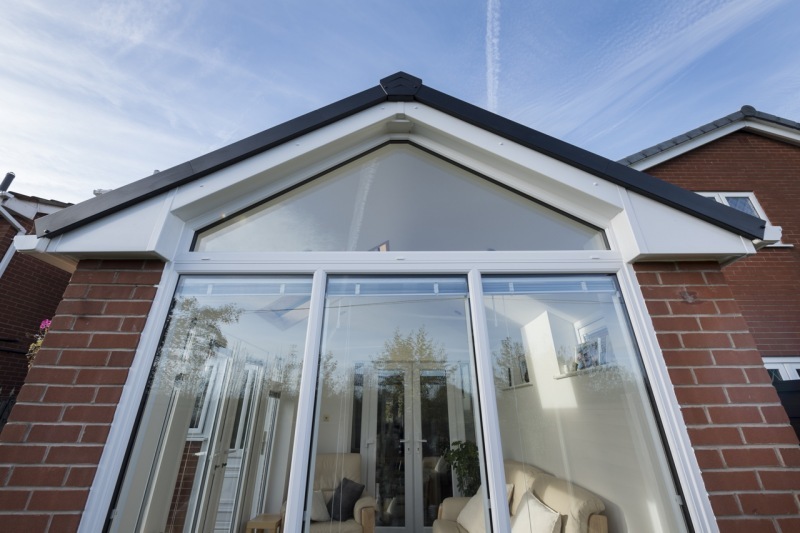 Eaves can be fixed or down so no need to de-glaze. 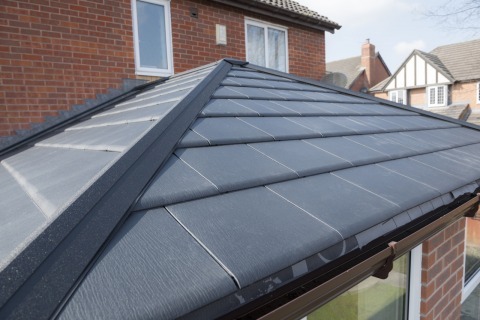 You can choose a range of coloured tiles to match the existing house roof allowing it to blend seamlessly.